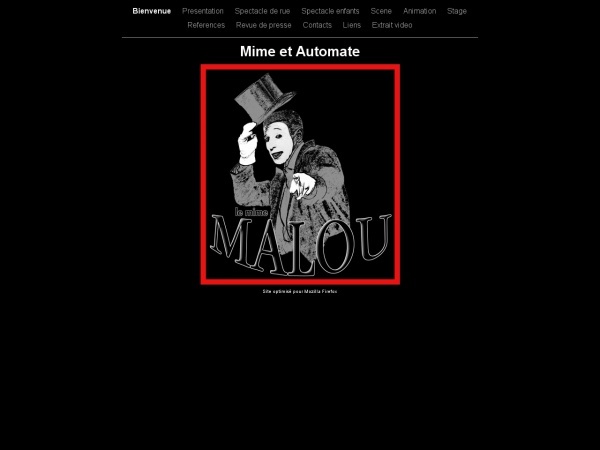 Born in 1967, autodidact automaton in the streets since 1984, it was not until 1995 with the creation of the first show, to become today the mime fantasy that I am. But the biggest meeting is that, constantly renewed by the public. For never has a mime been able to express itself in the silence of an absent audience!